Hometown: I grew up in Peekskill, New York, a small town north of New York City. My classmates were a mixture of kids from every ethnic and religious background. We played ball together, went to dances together, sat in classes together, and ate lunch together. For the most part, like the United Nations, we managed to get along. Inspirations: My father was a professional musician, who at the age of 30 lost three fingers on his right hand in an industrial accident. Despite this disability he played saxophone and the clarinet professionally until he passed away at 90 years old. I learned from my Dad that with concerted effort, focus, and determination, I could become whoever I wanted to be. A Turning Point: When I was eleven, I asked my Dad how I can learn to write music like what I heard on the radio and on recordings. He advised: "Work hard, study with the best, always ask lots of questions, and never be afraid to ask the top players and composers how they do what they do," His voice still echoes this message in my mind. Musical Training: I graduated from the State University College at Potsdam and from Columbia University with three degrees in music. Heeding my Dad's words, I studied privately with the best musicians and teachers in New York City, so I could hone my playing, composing, arranging and conducting skills. My composition teachers were Arnold Franchetti (Hartt School of Music) Bernard Wagenaar (Juilliard School), Jimmy Giuffre, and film scoring with Don Sebesky. Professional: Prior to teaching music at the public school and college/university levels, I served in the Army as a member of the USMA Band at West Point. Afterward, I continued to write music for the Jazz Knights for 10 years. I conducted recording sessions with members of the Toronto Symphony, Hong Kong Philharmonic, and the Philly Pops Orchestras. 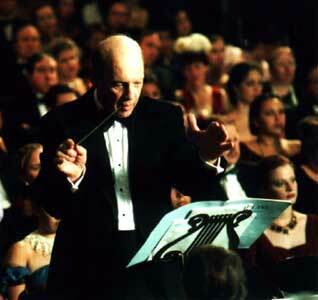 I traveled to China to conduct the Kunming Symphony Orchestra in Kunming in 2000. Presently I write, arrange, conduct, and play saxophone. I teach 12 music courses online. My book, "Arranging Music for the Real World" is published by Mel Bay Music. Personal: My wife, Norma, and I have three children: Stephen is an executive at Verizon; Regina teaches English as a second language; and Matthew, teaches acting in New York City and owns his Studio-Theatre. Objectives: I am committed to fulfill my Dad's legacy to inspire and mentor all musicians, so they can be whoever they want to be. Vince's passion to compose, produce, conduct, arrange and play music drives his dynamic and energetic spirit-all of which is evident in his accomplishments within the music industry. His creative abilities abound as he explores new and personal vistas. 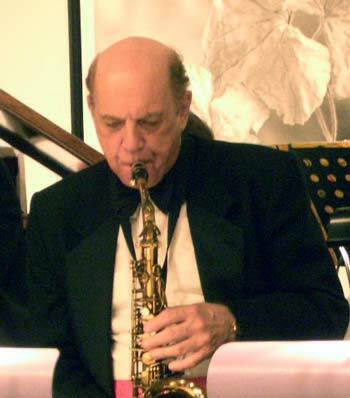 By sharing his expertise, Vince provides a role model for the novice musician and the seasoned professional; casual listener and the jazz aficionado; to the movie and Broadway musical buff and the symphony maven. His one-of-a-kind textbook, a "must�have" for music arrangers, encourages the necessity for strong theory coupled with his innovative technical applications. Believing that music, the universal language, brings cultures together, Vince accepted the challenge and honor to direct the Kunming Symphony Orchestra, China, where he earned world recognition at the International Festival of the Arts. Whether mentoring an individual on Banddirector.com or collaborating with his son and brother on drama, Vince continues to share his passion by making musical contributions for all to embrace. Blues Hall of Fame - Vince was inducted as a Master Blues and Jazz Artist and Teacher from New York in the Blues Hall of Fame, November 9, 2013. Author of a music arranging textbook for Mel Bay Publications. Arranging Music for the Real World with CD,� 2002, which has received five-star reviews on Amazon and Barnes and Noble. Just The Way We Were with the Norm Hathaway Big Band. Music Director and arranger for this 1940s show, and Winter Wonderland Swinging Christmas Show. Four appearances at the Iridium Jazz Club in New York City on Broadway, July and December 2011 and 2012, and on Saturday Night Live in May 2012. A Dream of Wings, the story of the Wright Brothers. Wilbur and Orville's triumph over adversity is a personification of the American Dream. The Rhythm Kings, the true story of five teen-age musicians, in an inter-racial band, and the problems they encountered leading to their big debut in New York City. Resorts International in Atlantic City (NJ), Garden State Arts Center (NJ), Show for vocal artist, Mary Mancini and accordionist, Mario Tacca. Music Business - "How to Navigate Through the Music Business Without Getting Mugged!" I also adjudicated bands, jazz ensembles, choirs, and show choirs for three musical organizations in New Jersey for over 15 years.